Always making solutions, today's special is red blood cell lysis buffer. 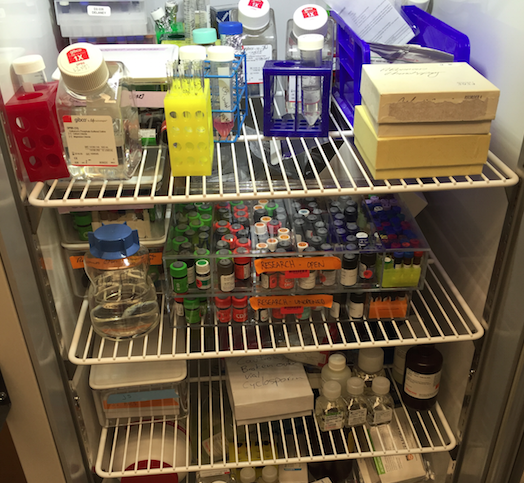 Ever wonder what $90k of antibodies looks like? Plus many other supplies. It could always be more organized, but there is a method to this madness. There is a lot of work involving your computer, be efficient at Excel! 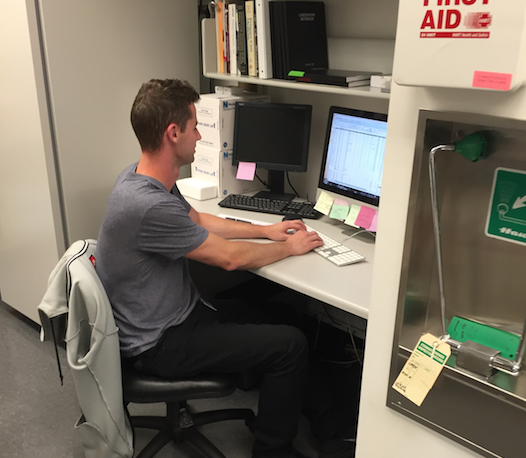 Mitch Kane is a graduate of the Shoreline Community College Biotechnology Lab Specialist Certificate program. He works at Fred Hutch in Seattle, WA in a lab that studies cord blood stem cells. He regularly uses skills like cell isolation, staining, and counting, prepares solutions and plans experiments. I coordinate, collect, deliver, and process blood samples as well as units of cord blood for a cord blood research lab. 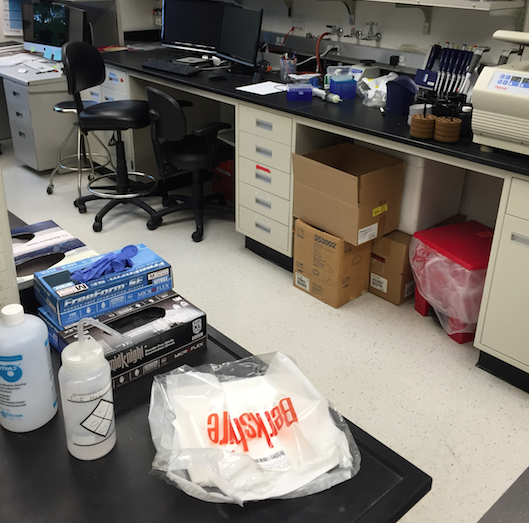 I separate the serum for some experiments, and isolate CD34+ stem cells for other experiments. I am slowly learning the basics of flow cytometry, as it is used heavily to monitor the blood cell conditions/differentiation within the patients from which the samples come from. 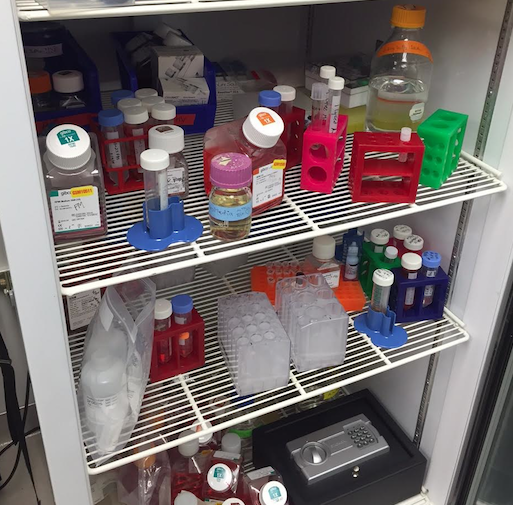 Obviously pipetting, using a hemocytometer to count cells, making serial dilutions, staining cells with various antibodies for flow cytometry, lots of solution and media prep so I have all the materials I need to perform my experiments. About half of my work days begin with going to Seattle Children's Hospital, UW medical center, or Seattle Cancer Care Alliance to pick up blood samples from patients that have undergone a cord blood transplant. 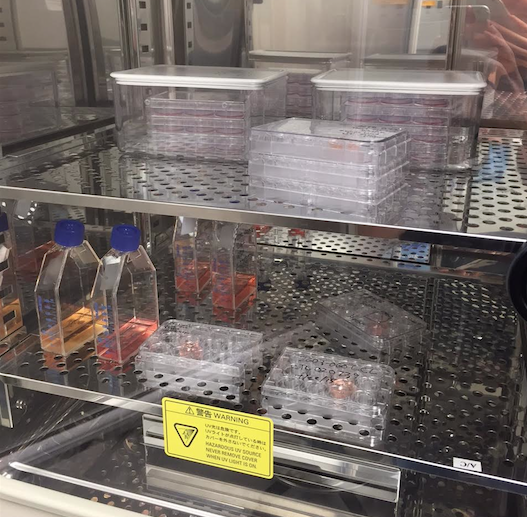 When I return to my lab I process those samples: separating the serum and freezing that, and staining the remaining white blood cells for flow cytometry (which is now performed by post-docs within the lab). After this I begin processing any cord blood units that may have been delivered. The main purpose is to isolate the CD34+ stem cells so that experiments can be performed on them concerning their behavioral characteristics. 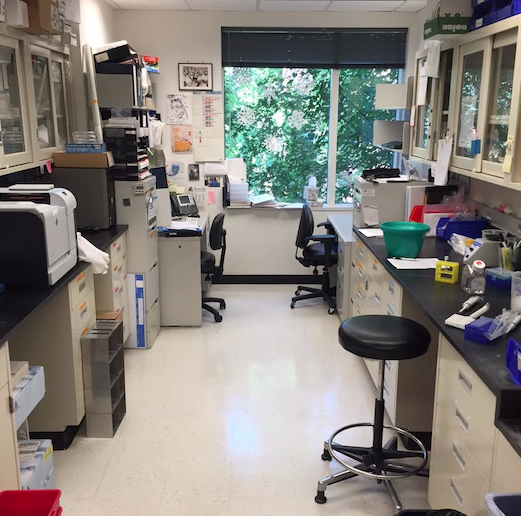 Visit as many labs as possible to see how they are all different in what they research (it may not even be something interesting to you) and how they operate (are they over/understaffed)? 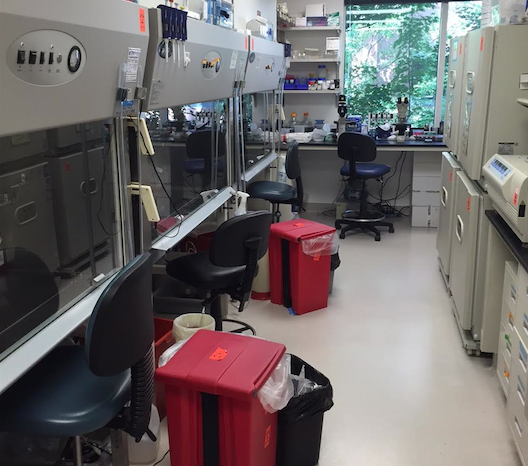 Find an area of study (immunology, recombinant DNA...) or skill (PCR, plasmid prepping...) you find interesting and pursue labs that practice a lot of that.